Dr. Yen graduated from Tufts Dental School and has been practicing dentistry for twenty years, refining her skills in dental practices in Boston, San Francisco, San Diego, and the East Bay. 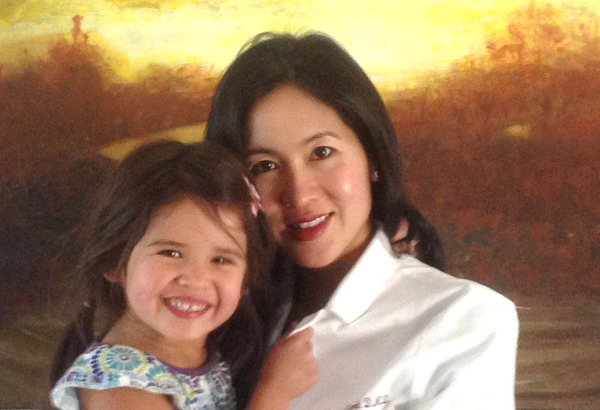 She has a gentle and compassionate approach that puts both adults and children at ease. Her combination of artistic skills and dental training give Dr. Yen the background to do beautiful cosmetic dentistry as well. Dr. Yen's goal is to provide you with a positive dental experience and to create a long-lasting relationship based on trust and the promise that you will receive the best treatment options available. Dr. Yen is a former faculty member at the University of the Pacific Dental School, where she taught Dental Anatomy and Dental Anesthesia. She is trained in comprehensive orthodontics and is a certified Invisalign provider. Her areas of interest are in Cosmetic and Implant Dentistry. Dr. Yen has completed extensive training in dental Implantology, fulfilling her surgical externship at the California Implant Institute. She is a Fellow at the International Implant Misch Institute, a Fellow and Diplomate at the International Congress of Oral Implantologists. Dr. Yen is also a graduate of the renown Kois Center in Seattle where dentists are trained in the treatment of complex full mouth rehabilitations. As an alumni, Dr. Yen keeps abreast of the latest advances in esthetics, implant and restorative dentistry by attending the Annual Kois Symposium. In addition to attending various courses and training during the year, she and her staff enjoy attending the local, annual Dental Convention in San Francisco, where the latest advances in dental materials and technology are presented. Dr. Yen was born in Vietnam. She left her native country at age one to move to France where she grew up. After 14 years in France, the family moved to the U. S. She travels back to France every few years to recharge and visit family. Dr. Yen attended the University of California, Irvine where she obtained a B.S in Biology and a B.A. in French Literature. Dr. Yen lives in Alamo with her husband Tom and her daughter, Sophie. She enjoys hiking, oil painting, the piano, traveling... and spending time with her family and friends.